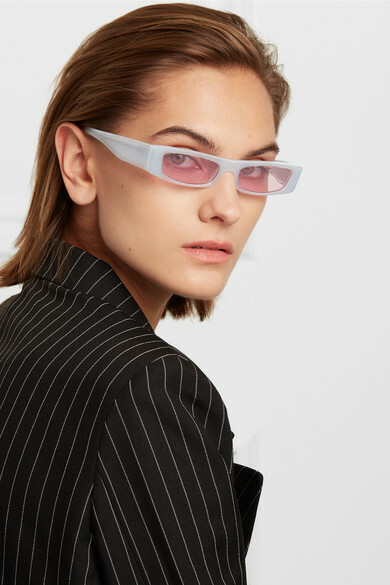 When Alexandre Vauthier and Alain Mikli decided to join forces for an '80s-charged sunglasses collaboration, they sourced images of Grace Jones and Catherine Deneuve for inspiration - resulting in seriously statement eyewear. 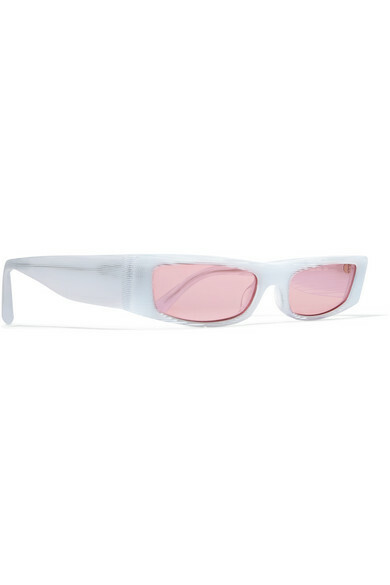 Cut with square-shaped frames, this 'Edwidge' pair has been made in Italy from glossy white acetate and fitted with playful pink-tinged lenses. Shown here with: 16ARLINGTON Blazer.